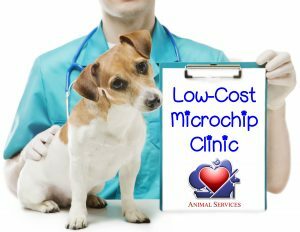 Animal Services is holding a low-cost microchip clinic at the Shelter! If you have dogs or cats and live in Lacey, Olympia, Tumwater, or unincorporated Thurston County, this clinic is for you! All pets must be in a carrier or on leash! The lineup for this clinic will be outside. *Licenses may be purchased at the event.